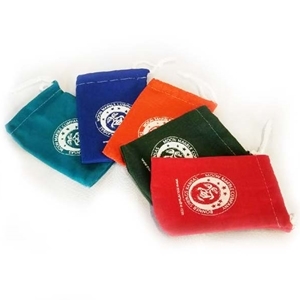 These small pouches measure approximately 4" x 4". They can hold approximately half a pound of marbles or a couple of the jumbo and larger sized marbles. They are available in 5 colors with a white Moon Marble Company logo on the front. 100% cotton canvas with a nylon draw cord.